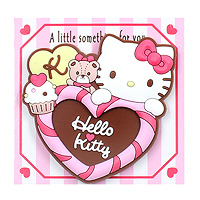 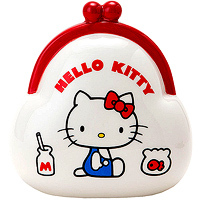 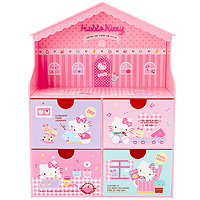 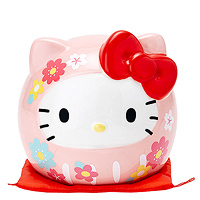 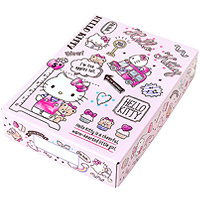 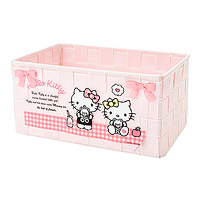 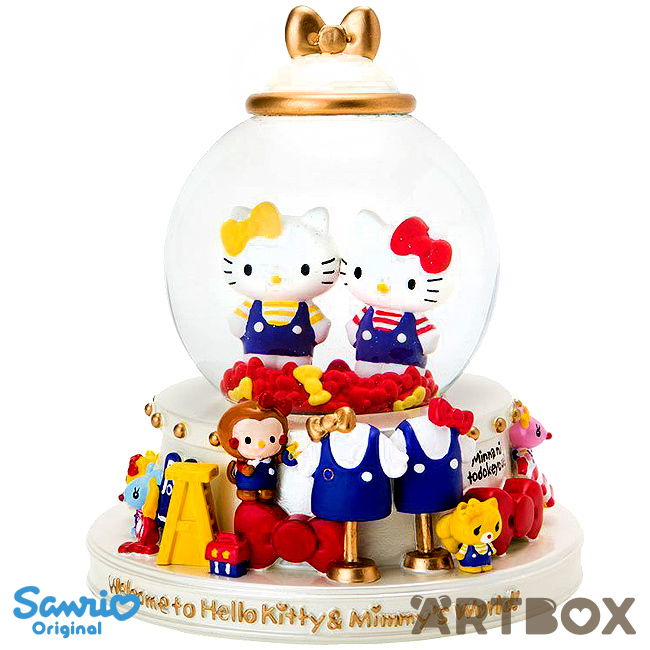 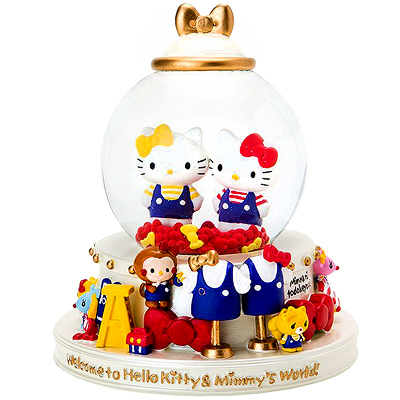 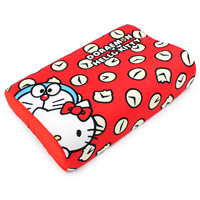 This beautiful snow globe ornament is a must have for any Hello Kitty fan! 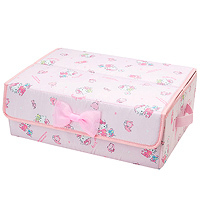 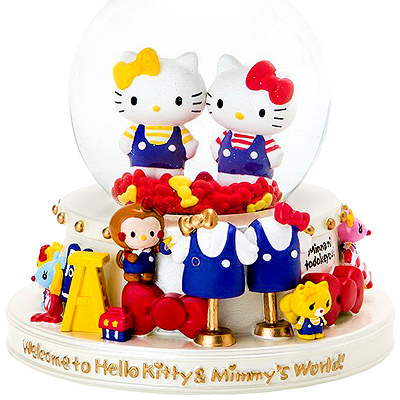 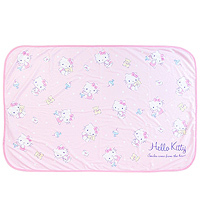 This gorgeously detailed piece features figurines of Hello Kitty and her sister Mimmy inside a globe full of free flowing glitter pieces and the base has 3D decorations of their friends and favourite items. 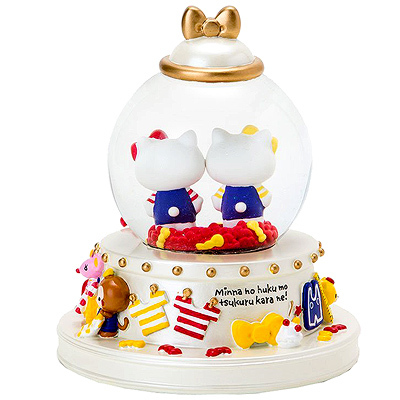 The ornament is finished with pearly and golden details and would look beautiful in Sanrio fan's room.